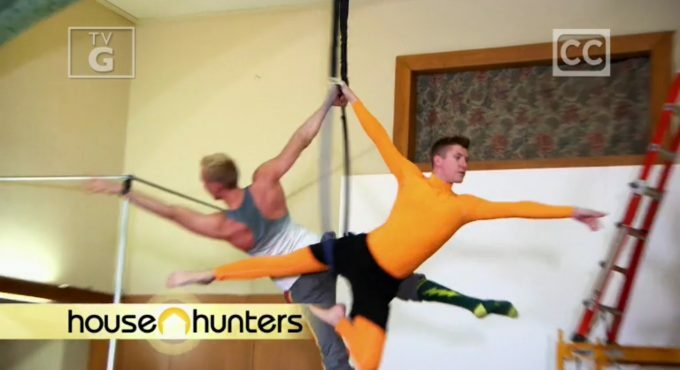 House Hunters Alex and Chris met at a circus studio, and have been together noq for three years. They got engaged six months ago. Chris’s side gig is as an aerial acrobatics teacher—-hence the circus studio meeting. So this is a major part of their lifestyle, so it’s important that they have space to practice it. Alex moved from Texas to Wichita, KS for a new job, and Chris has plans to join him in a few months. Now they just need to find a new home so that they can move out of Alex’s rental. They have a budget between $175,000 and $250,000. Alex and Chris both want a place with no renovations, a large backyard with a fence, and an open floor plan with space for entertaining. They also want a home that’s centrally located and has a finished basement. 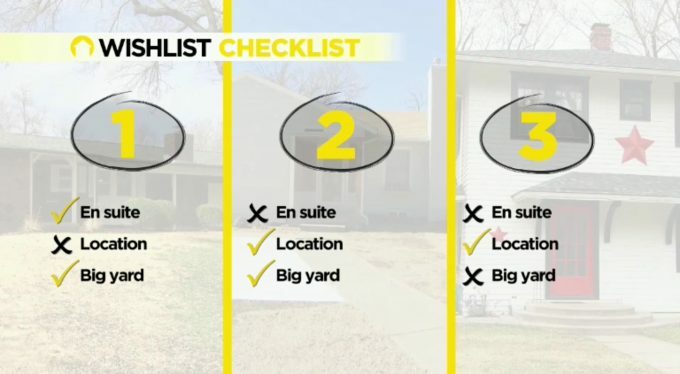 Chris’s List: Chris wants a ranch style home with hardwood flooring, and an en suite bath tub. He also wants to use the basement as a home office. Alex’s List: Alex prefers a modern style home. He wants it to include berber carpet and a shower in the en suite. Alex is also a bit OCD, so he needs uniformed finishes. He wants to use the basement as a media room. 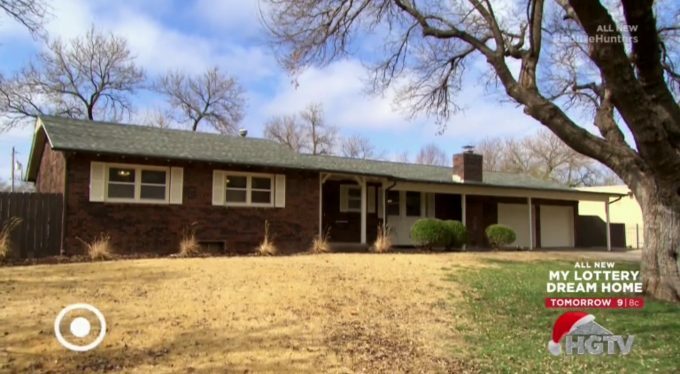 This ranch style home is about 15 minutes from central Wichita. It has three bedrooms and three bathrooms. It comes with 2400 sq ft. The kitchen has a lot of character with a built in desk, large windows, and a couple different counters. The place is mostly open and bright. It comes with a huge backyard and a finished basement. It also includes a mixture of carpet and hardwood flooring. The home has a small master bathroom, but it comes with a large shower. This ranch style home is centrally located. It has three bedrooms and two bathrooms. It’s on a busy street with lots of traffic for Alex and Chris to hear from their front yard. It’s over 2500 sq ft. The place has a fireplace, a very gray kitchen, and a finished basement. The yard is also very large in this home. It also already comes fenced. There is a solarium area that would need a lot of renovations. The home also doesn’t have an en suite, but it has a hall bathroom that includes a bath tub. 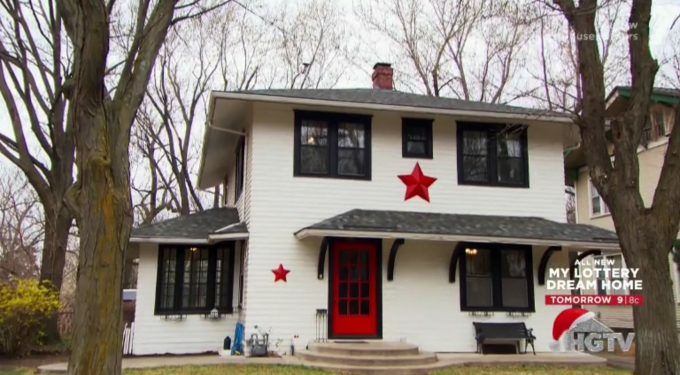 This home has a big Texas looking star on the outside. It has three bedrooms, and one and a half bathrooms. It’s in a very walkable neighborhood. The home also comes with a fireplace, sunroom, and a basic kitchen—which looks bare and has a weird wall barrier. The basement is unfinished and the backyard needs a lot of work. It has a really beat up garage. The master bathroom is very small, but it comes with Alex’s berber carpet. Decision Time: House #3 needed a lot of work, but it was the most under budget. House #2 fit their needs the most, but the traffic sounds, and lack of en suite, could become a problem. House #1 was too far from the main streets but it had the most items on their wish lists. Alex and Chris picked…House #2. 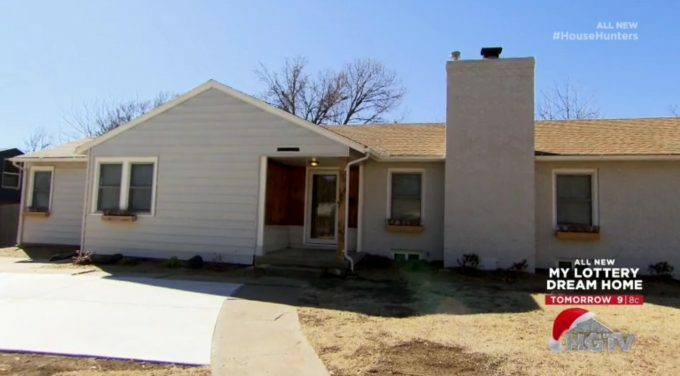 It ended up costing them $162,000, instead of the initial $170,000 asking price.